National occupation classification code which is frequently termed as NOC code list; is the means by which government of Canda classifies work experience of Express Entry applicants. To simply understand, your occupation will be assigned as particular NOC code for the immigration purpose in Canada. If you want to apply as a skilled worker, find your job title, code and skill level or type in the NOC. 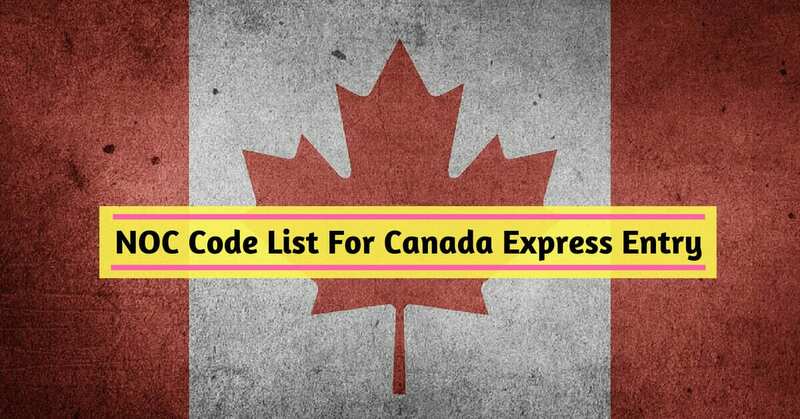 In this article, you can find complete NOC code list for Canada Express Entry Immigration process. It is very important to understand NOC code list if you are applying for the permanent resident. The selection of the NOC code is the major decision for the process of Canada immigration. What is NOC code list? National Occupation Classification (NOC) code is the four digits numeric code assigned to identify the job description and occupation that you hold in the Canadian labor market. Why does NOC code is important? NOC code is very important because NOC code that you choose must correctly match to your work experience while applying Canadian permanent resident. Otherwise, your application might be void if in case, NOC you choose does not match with your work experience. How to choose NOC code? The description of the lead statement of NOC code must meet the work experience that you have shown. You must perform most of the duties listed for the occupation. Always choose the NOC code for which you can back up with employment documentation. Find Your NOC Code in alphabetic order.